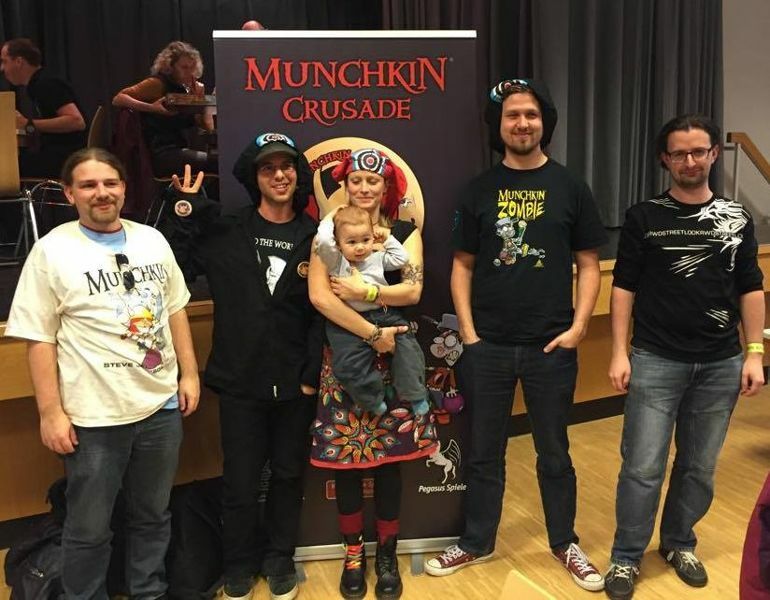 Our friends at Pegasus Spiele, publisher of the German version of Munchkin, run an annual series of tournaments called the Munchkin Crusade. After approximately 40 events held at stores and other venues across the country, their National Championship concluded on November 14th in Essen, Germany, the same city that hosts the Internationale Spieltage (SPIEL) convention every year. The final round of the tournament had a bit of a surprise in it as well. Sebastian and Sina Meuer, a married couple, both ended up making it to the end, and ended up taking first and second place! We offer them both our sincere congratulations. It's always fun to get reports of Munchkin being played all over the world, and we thank our friends at Pegasus Spiele for all their help in making that happen.